The Jaredites: Ether or not? This is an exercise in your familiarity with the Book of Ether. Ether is the abbreviated history of the Jaredites from the time they left Babel, to their ultimate destruction in the Americas. Can you tell which of the following excerpts that refer to the Tower of Babel are taken from Ether's writings? 1. Afterwards men, multiplying made a very tall and strong... tower, in order to shelter themselves in it when the second world should be destroyed. When things were at their best, their languages were changed and, not understanding each other, they went to different parts of the world. 2. But behold, I give not the full account, but a apart of the account I give, from the tower down until they were destroyed. 3. There were seven families who, in the dispersion of the tower of Babel, joined together because they understood each other’s language, to come to settle these regions. 4. An abridgment taken from the Book of Ether also, which is a record of the people of Jared, who were scattered at the time the Lord confounded the language of the people, when they were building a tower to get to heaven. 5. I say that the origin and first parents of all of them were seven families who, in the scattering of peoples because of the confusion of tongues at the Tower of Babel, joined together because of finding themselves of one language...and they traveled to these parts, where they established themselves and multiplied, and went on dividing into towns and nations. 6. His first parents came out from the tower, at the time the Lord confounded the language of the people; and the severity of the Lord fell upon them according to his judgments, which are just; and their bones lay scattered in the land northward. 7. Our ancestors had come from the other side of the sea, from Civan-Tulan at the confines of Babylonia. 8. We were also in Babylon, where all the men made a great house, and a great building. By the work of these men, the top of this building reached half way to the heavens. At that time all these great ones spoke only one language. Then they separated at night-time; they went to their house to sleep. And God, our Lord, spoke to them, because they were made in His image, of the race, the sons of Adam. And because they were sinners, He changed their language and they all became different. This is what God our Lord told them. Then the languages were changed, and they certainly became different. Later when they met one another they couldn’t understand each other, and they couldn’t greet each other, so they were bewildered. Then they separated and spread over all the world. 9. Seven Toltecs who were present at the construction of that tower, seeing that they did not mutually understand the others, departed with their wives and children. 10. [He] was at the construction of the great wall, as they called the tower of Babel, and with his own eyes he saw the confusion of tongues, after which the Creator God commanded him to come to these extensive lands to distribute them among men. 11. The first king...was the one who brought them to this New World where they settled, who, as can be inferred, came from the great Tartary, and they were of those of the division of Babylon, as it is declared more at length in the history that is written. 12. It gave an account of the people who were destroyed, from the time that they were destroyed back to the building of the great tower, at the time the Lord confounded the language of the people and they were scattered abroad upon the face of all the earth. 13. He caused a tumult among them, by producing in them divers languages, and causing that, through the multitude of those languages, they should not be able to understand one another. The place wherein they built the tower is now called Babylon, because of the confusion of that language which they readily understood before. 14. Who...came forth with his brother and their families, with some others and their families, from the great tower, at the time the Lord confounded the language of the people, and swore in his wrath that they should be scattered upon all the face of the earth; and according to the word of the Lord the people were scattered. 15. It is that same being who put it into the hearts of the people to build a tower sufficiently high that they might get to heaven. And it was that same being who led on the people who came from that tower into this land. 16. And God said...Come let us descend and confuse their tongues, that one man shall not understand the language of his neighbor, and they did so unto them. And from that day following, they forgot each man his neighbor's tongue, and they could not understand to speak in one tongue...And those who were left amongst them, when they knew and understood the evil which was coming upon them, they forsook the building, and they also became scattered upon the face of the whole earth. And they ceased building the city and the tower; therefore he called that place Babel, for there the Lord confounded the Language of the whole earth; behold it was at the east of the land of Shinar. And as to the tower which the sons of men built, the earth opened its mouth and swallowed up one third part thereof, and a fire also descended from heaven and burned another third, and the other third is left to this day...And many of the sons of men died in that tower, a people without number. 1. Fernando de Alba Ixtilixochitl. History of the Toltecs. 3. Mariano Veytia. Ancient America Rediscovered. p. 192-3. 4. Book of Mormon title page. 5. Mariano Veytia. Ancient America Rediscovered. p. 40-41. 7. Adrian Recinos and Delia Goetz, trans. The Annals of the Cakchiqueles. p. 194. 8. History of the Xpantxay de Tecpan of Guatemala. 9. Mariano Veytia. Ancient America Rediscovered. p. 193. 10. Mariano Veytia. Ancient America Rediscovered. p. 46-7. 11. 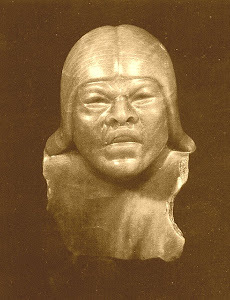 Fernando de Alba Ixtilixochitl. 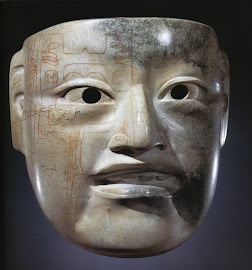 History of the Toltecs. 13. Flavius Josephus. History of the Jews. 1:4:3. 16. The Book of Jasher 9:32-38.